Sales for compact, point-and-shoot, digital cameras have declined 42 percent in the first five months of 2013, according to the Camera and Imaging Products Association. Most major manufacturers have been affected, such as Canon, Sony, Panasonic, Olympus and others. The declines are primarily due to smartphones that are replacing the need for stand-alone compact digital cameras, driving manufacturers to focus on premium digital camera lines. Manufacturers are scrambling to address a digital camera market where customers have the convenience of smartphones for quick pictures that can be shared on social media services such as Facebook and Instagram. The number of photos being taken is rising exponentially. Fujifilm estimates that 1.6 trillion photos are taken annually with smartphones, digital cameras and other devices, compared with about 100 billion photos a year during the height of film cameras around the year 2000. The biggest declines have been in point-and-shoot devices, which is estimated to fall to 80 million units this year, down from 132 million units three years ago, IDC said. 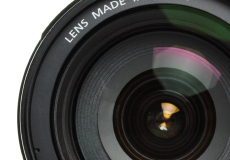 The trend is forcing major digital camera makers to cut their product lines. To adjust, camera manufacturers are pushing more expensive models, such as ones with more than 10-times optical zoom or larger sensors that can produce pictures in low light and greater detail. But as manufacturers crowd the high-end of the market, prices could drop and erase any profit margins, analysts say.